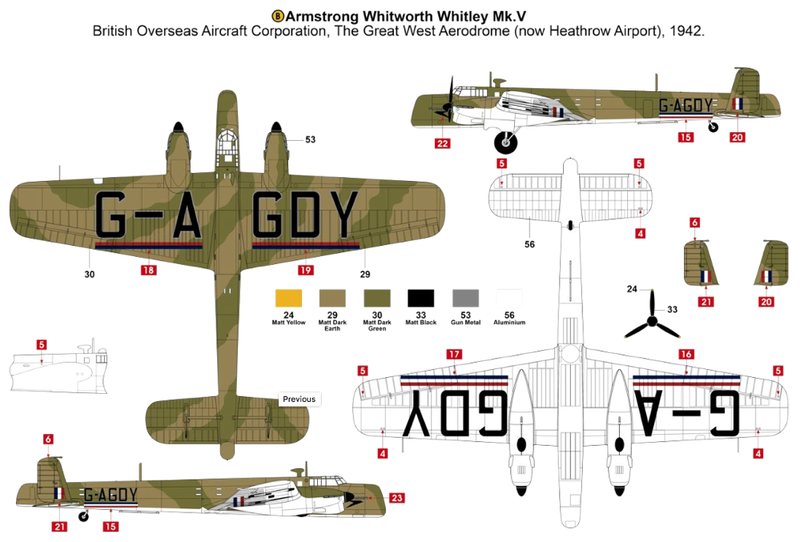 THE ARMSTRONG WHITWORTH AW38 WHITLEY was a twin-engine British bomber, used with some success in World War II. 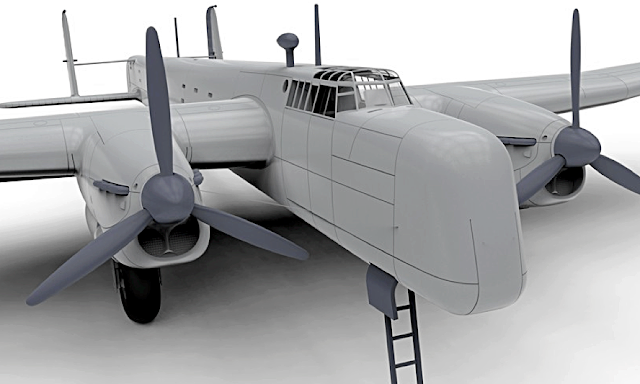 This new 1:72 scale Airfix kit is a useful range addition for model makers keen on aircraft from that era. 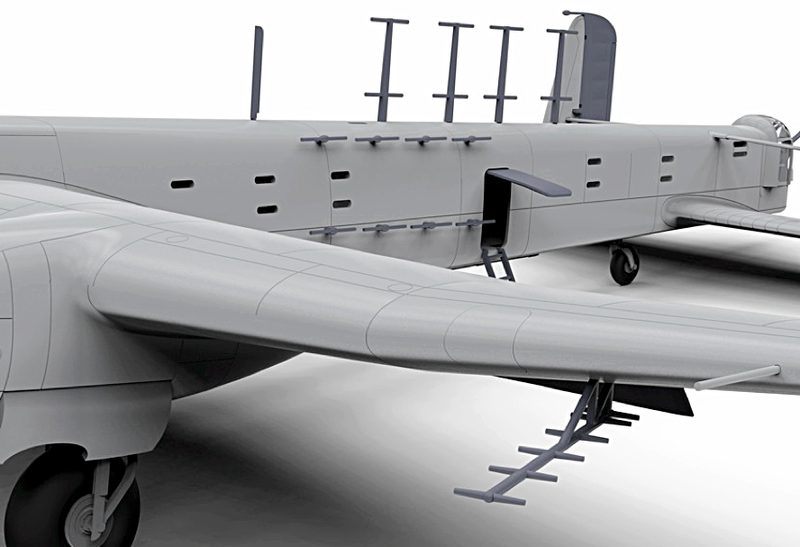 SMN report: Airfix is steadily modernising its World War II aircraft fleet, or introducing new ones. 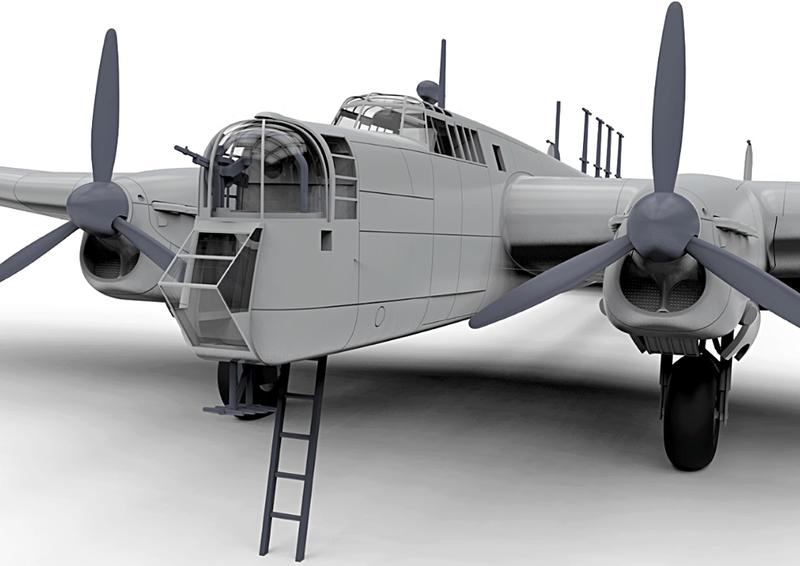 This Whitley GR Mk VII comes into the latter category, and fills a useful hole in the ranks of British wartime bombers. 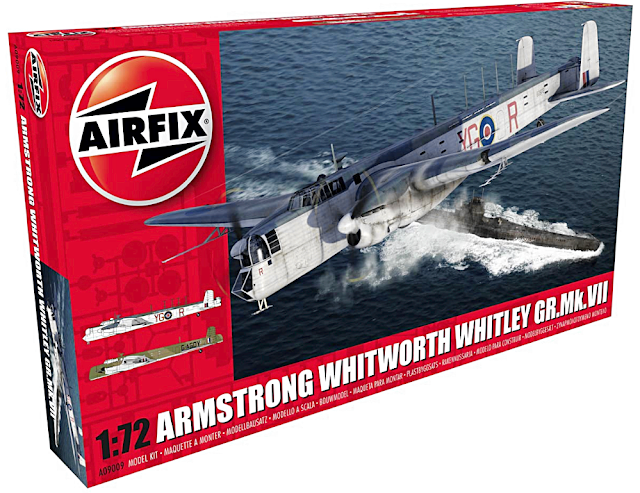 The box art (below) shows a Whitley on anti-submarine duty, and is well up to the visual standards of today's Airfix kits. These cgi images, shown courtesy Airfix, reveal that a great deal of time and trouble has gone into this kit. Detail looks refined throughout, and it's a pleasure to see that Airfix offers the option of finishing the aircraft as a civil version, less the guns, turrets, and multiple antennas. Nose turret and bomb-aimer's window are neatly reproduced (below) and it's good to see that Airfix has included an entry ladder. 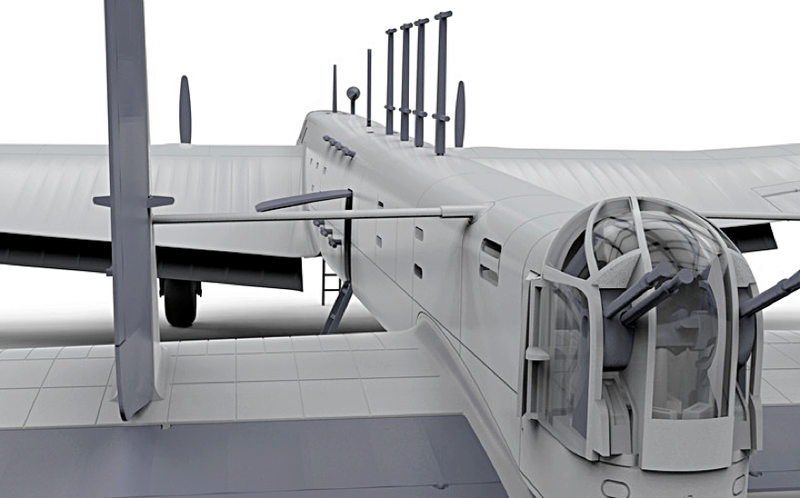 The finished model will benefit greatly from adding a diorama base, together with suitable RAF personnel and vehicles. Plenty of radar aerials (above, below) supplied with this kit, adding interest to what is a rather plain-Jane aircraft. 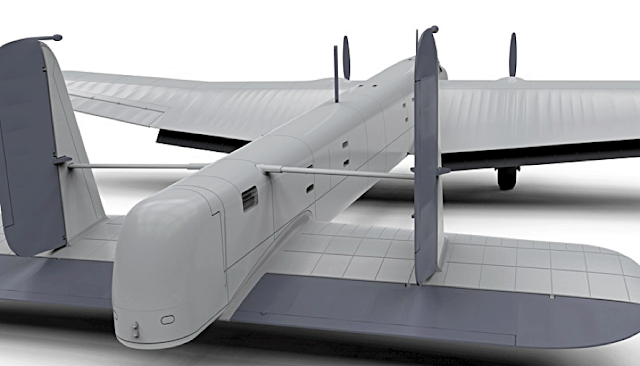 Note the flaps on this model. The original design had none, instead being given a wing angle that resulted in a distinctly nose-down attitude in flight. This was a draggy configuration, resulting in a top speed of barely 370 km/h (230 mph) and considerably less when cruising. Good detailing (below) for the rear turret. A port-side fuselage door is included, with ladder. 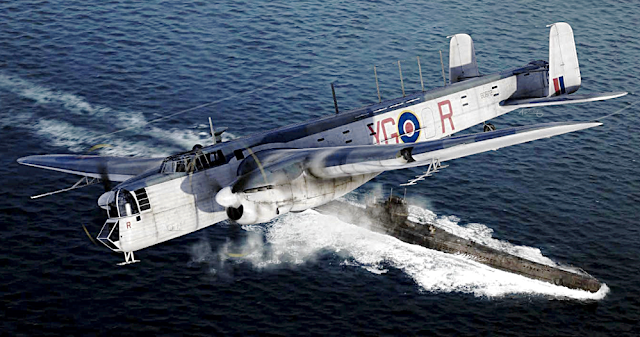 Not exactly the most handsome airliner ever made (above, below), the civil Whitley nevertheless had a useful career. 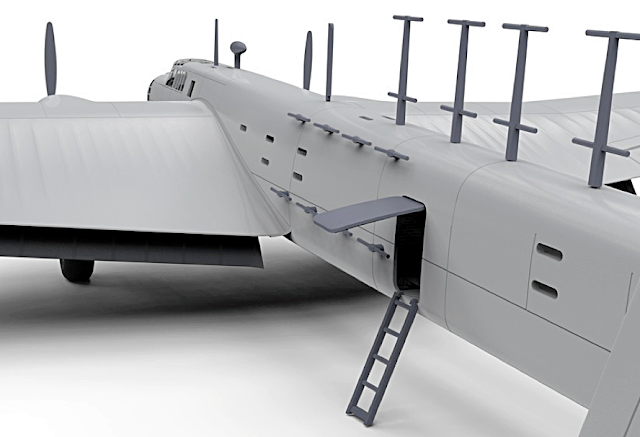 Note the struts supporting the fins. A smoothly-rounded nose and tail (below) were features of the civil Whitley. Note the aircraft had a large, non-military G-AGDY registration number, even though it also displayed a Royal Air Force flash on each fin. 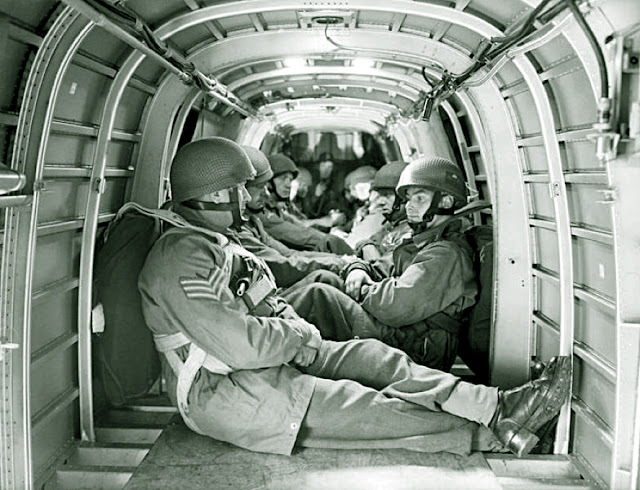 Passengers had to peer out of what were perhaps the smallest airliner windows ever made. Useful painting instructions (below) supplied by Airfix. 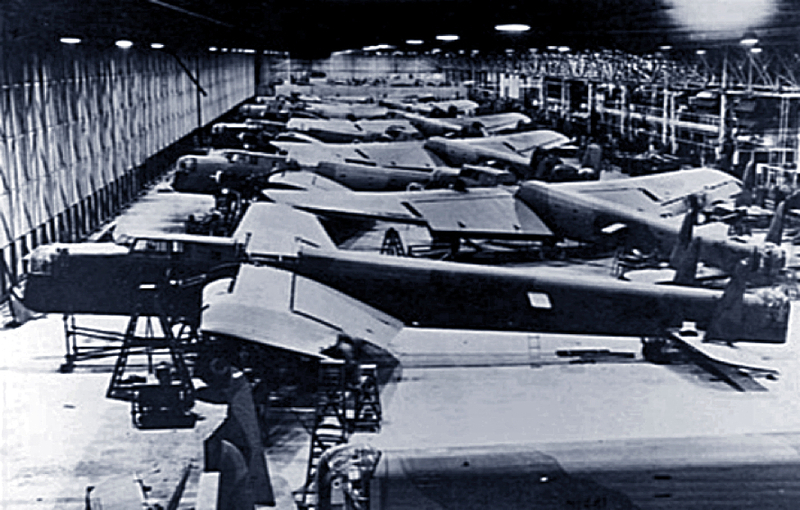 Photo (below) of the prototype Armstrong Whitworth AW38 Whitley. Its maiden flight was in March, 1936. 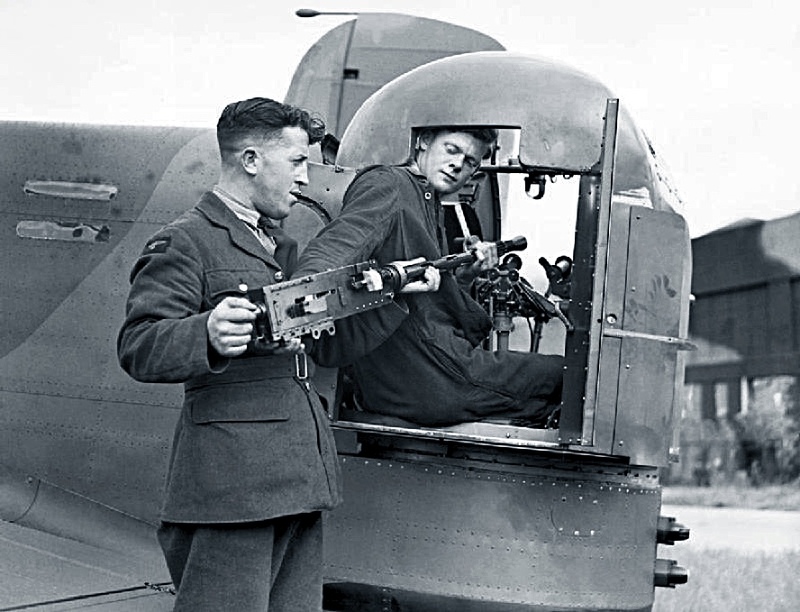 RAF personnel (below) fitting a Browning machine gun in the Whitley's rear turret. Mass production of Whitleys (below) at the Armstrong Whitworth factory, 1941. 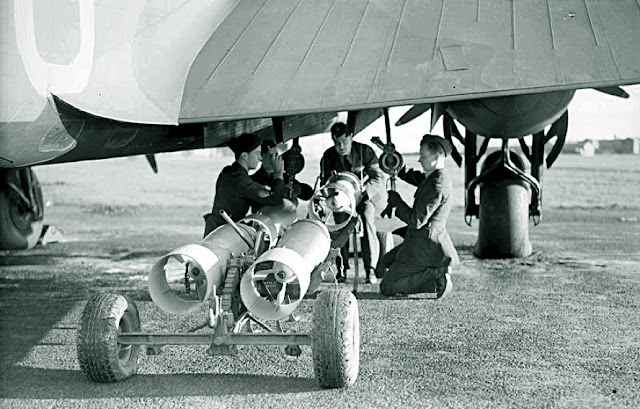 Bombing up a Whitley (below) at RAF Aldergrove, November 1940. Compact Whitley fuselage (below) meant paratroopers sat crosswise in flight before their jump. This tidy diorama was forwarded to SMN, attribution unknown. Let us know whose it is and we can credit appropriately. The Whitley shown is the earlier Airfix Mk V, painted in night bomber markings. The other aircraft is a Boulton Paul Defiant, also an Airfix subject.